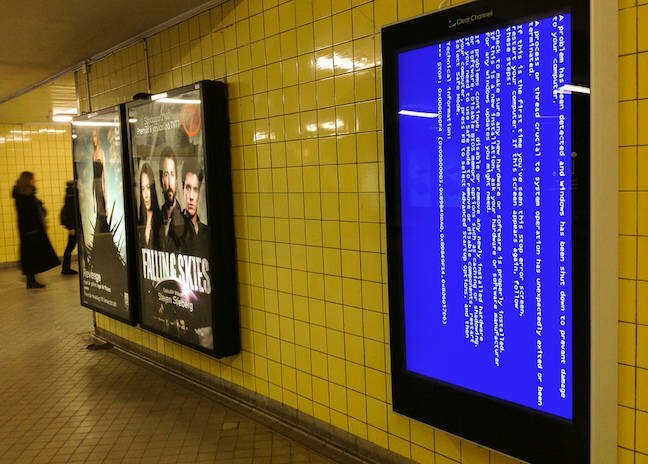 BSOD WATCH It's no surprise that public transport delivers up a huge number of BSODs, since transport needs to disseminate lots of information. 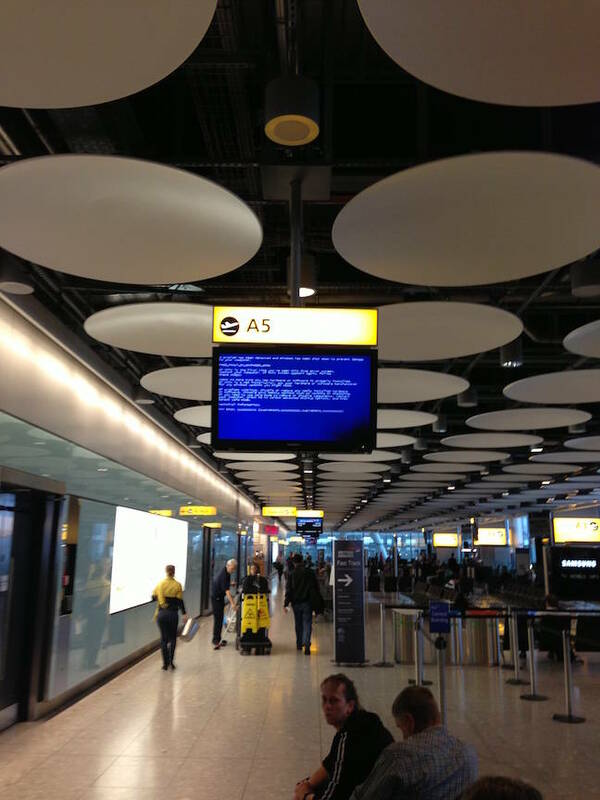 So let's open this week's BSOD Watch with not one, but three BSODs readers spotted at London's aviation paradise, Heathrow Airport. Paul sent us a pair from 2012. Nice composition in the first, highlighting the discs dangling in the ceiling. 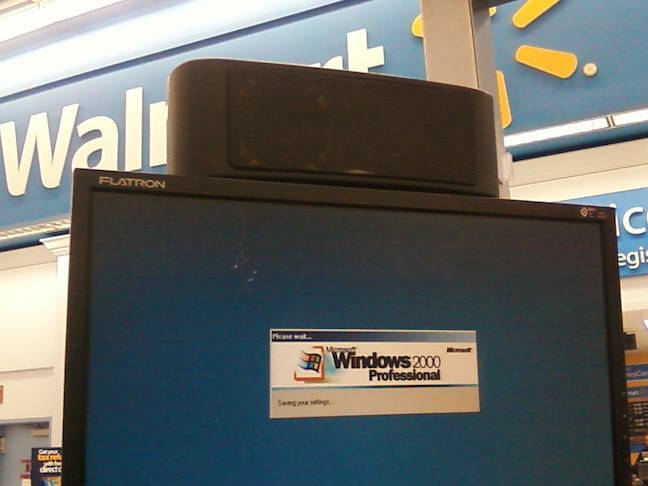 The second and third (the latter from 2011, says our informant) highlight a future feature request for Windows: could it detect screen orientation when there's a BSOD? In a similar vein, Michael spotted this in the Stockholm underground. 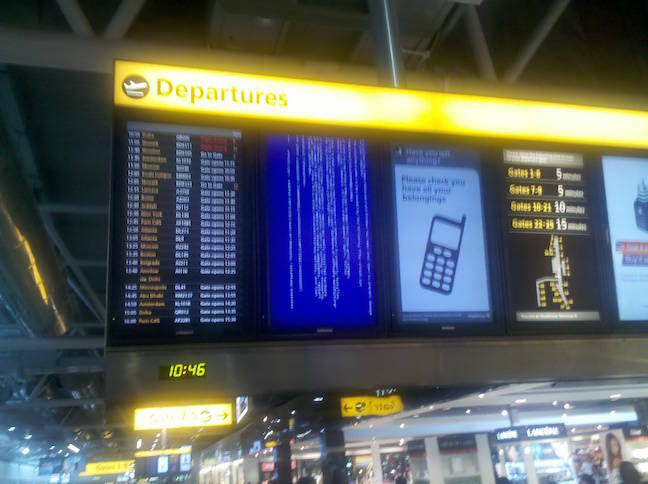 Next, we go to Zurich, where Richard Purves takes us back to the world of large-scale BSODs. The folks behind Twitter account @NorthSydneyTweetup captured not only scale, but mystery, snapping this one yesterday on the Australian Stock Exchange's (ASX's) info-board. 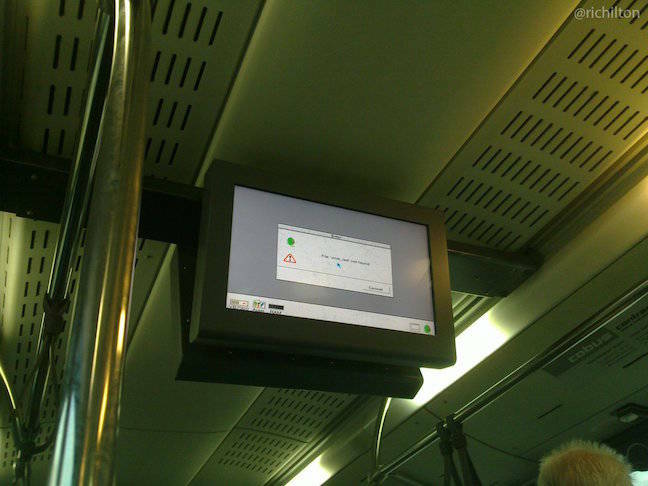 It's always amusing to see BSODs expose obsolete Windows versions that really should be updated. First, there's this from Dave, in March 2015. To close out, I suspect we should institute another call for submissions – specifically looking for Acorn surviving in public displays. 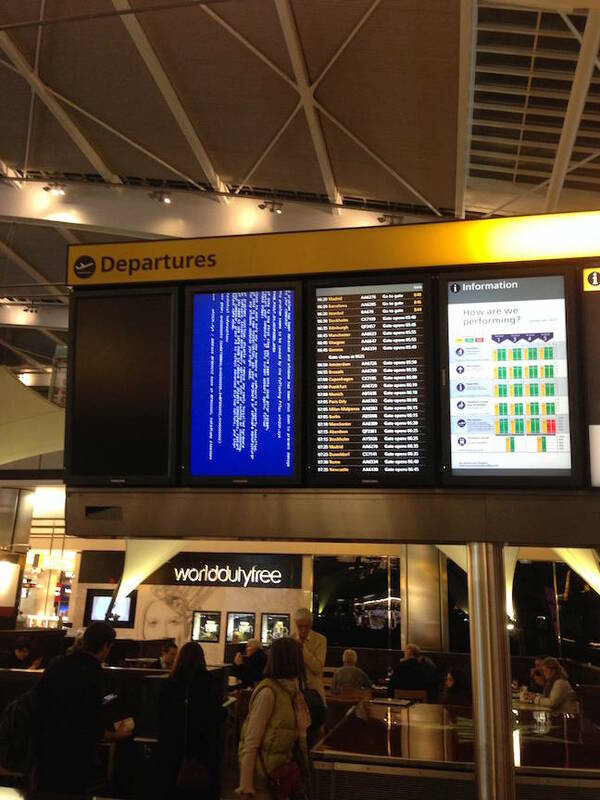 Windows 10 Spring Creators Update team explains the hold-up: You little BSOD!